Team | Henneman Engineering, Inc.
Henneman Engineering, Inc. was founded with a personal commitment to provide high-quality, cost-effective professional design services to private and public clients. Henneman principals share common values about client service, quality work, and responsive project delivery, and are committed to maintaining the same high degree of professionalism that remains central to our way of doing business. Laura J. Henneman was named Chairman of the Board of Henneman Engineering in March of 2016. She is the third generation of the Henneman family to serve as Chairman of the Board. Laura’s grandfather, Ralph Henneman founded the company in 1961 and Laura’s father, Michael Henneman, served as President/CEO from 1992 to 2013. Laura, through the ownership of Henneman Family, LLC, is the majority owner of Henneman Engineering since 2014. Henneman Family, LLC is an owned, managed and controlled woman business with multiple platform of investments in real estate, engineering/construction, agriculture, homeland security, pharmaceuticals and medical equipment. Ms. Henneman is proud to follow in her family’s footsteps to propagate the success of Henneman Engineering and to help its national and international clients achieve their goals. In addition to her Board of Director role, Laura is CEO and directs all corporate officers. She provides leadership, management and strategic direction for Henneman Engineering. Also, Ms. Henneman is a practicing attorney at Segal McCambridge Singer & Mahoney, a Chicago law firm where she concentrates on litigation. Ms. Henneman received her B.S. in Journalism from the University of Colorado at Boulder in 2010 where she focused her studies on advertising and political science and was a recipient of the Chancellor’s Achievement Scholarship. Ms. Henneman went on to earn her J.D. 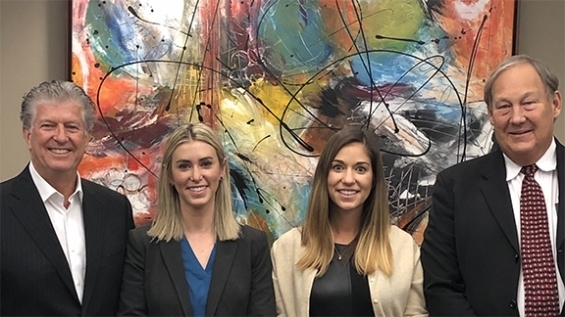 from Chicago-Kent College of Law where she was an active member of the nationally ranked Trial Advocacy Team, winning first place at the regional championship of the American Association of Justice Competition. 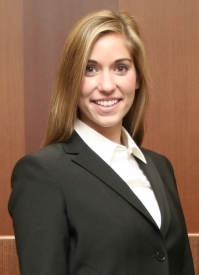 In addition, she was on the Dean’s Honor List, served as treasurer of Chicago-Kent’s Women in Law Society, served as a teaching assistant for an Intensive Trial Advocacy course and served as an Administrative Assistant to The Honorable David A. Erickson. Prior to joining Henneman Engineering and Segal McCambridge, Ms. Henneman worked as a law clerk at Corboy & Demetrio P.C. a Chicago, Illinois personal injury law firm. Additionally, while in law school she worked as a 711 law clerk for the Narcotics Bureau of the Cook County State’s Attorney Office. In her free time, Ms. Henneman loves spending time with family and friends in both Champaign and Chicago, Illinois. She appreciates traveling and welcomes any occasion to meet new people and explore new places. Ms. Henneman enjoys being active outdoors, competitive running, golf, and is looking forward to a sprint triathlon this summer. Appointment requests please contact mbarnett@henneman.com. Joseph B. Summers joined the engineering firm Carroll – Henneman & Associates, predecessor to Henneman Engineering, Inc., in 1970. Joe received his Bachelor of Science in Electrical Engineering from Purdue University and then did graduate studies in Electrical Engineering at the University of Illinois. He is a registered professional engineer in Illinois, Indiana, Florida, Nebraska, and Montana. Joe left Henneman in 1977 and founded the firm, S&R Engineering, where he was a managing partner until 1996 when that firm merged with Henneman. In 1997, Joe started the industrial division of Henneman Engineering, called the Industrial Technology Group (ITG), which now has 30 employees with offices in Champaign and Chicago. 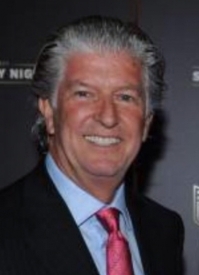 Joe was a founding partner of HWS in 1999. HWS develops, builds, owns, operates, and maintains merchant power plants and renewable energy facilities throughout the USA. HWS is currently operating and maintaining a major ethanol facility. HWS is also developing a Photo Voltaic (PV) solar cell electric generation group that provides turnkey installations throughout the Southwest and Midwest. Joe has participated in several community and professional organizations. He is the past president of the Illinois Society of Professional Engineers - Champaign County Chapter as well as the Illuminating Engineering Society – Illini Chapter. He served as chairman of the Board of Trustees of Faith United Methodist Church, and was on the City of Champaign Building Code Committee for 10 years. He was a part-time instructor in the Construction Technology program at Parkland College. Joe has received National Awards of Merit from the Illuminating Engineering facility and from Energy User News (EUN). Joe has lived in Champaign/Urbana since 1970 and currently lives with his wife in Urbana. They have three adult children and four grandchildren. Diane Bell, CPA is the Controller of Henneman Engineering, Inc. and is responsible for the oversight and management of the company accounting policies and procedures. 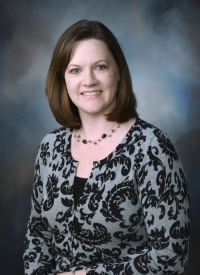 Diane is a Certified Public Accountant and is licensed in the State of Illinois. 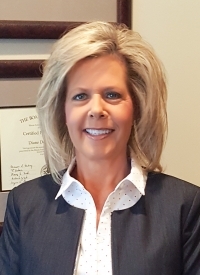 Prior to joining Henneman Engineering, Inc., Diane has been with various CPA firms over the past nineteen years where she was implemental in accounting, audit and litigation services. As the Controller of Henneman Engineering, Inc. (HEI) Diane will be involved with the corporate officers and Board of Directors. She is responsible for all financial reporting both internal and external for HEI. She also coordinates with HEI external accountants Martin Hood & Associates, LLC and external audit accountants, West & Company, LLC. Diane received a Bachelor of Science in Accounting from Illinois State University. She is a member of the American Institute of Public Accountants. Diane resides near Wapella, IL with her husband. They enjoy spending time with their six grown sons and grandchildren. She also enjoys boating, traveling and being outdoors. Imad Rahman is the Director of Henneman’s Industrial Technology Group (ITG). Prior to joining Henneman in 2010, he held various engineering and management roles in the consumer products, automotive, electrical and control automation systems industries. Under Imad's leadership, ITG specializes in industrial projects focused in manufacturing, food production, chemical processing, consumer products, power generation, and renewable energy. Imad’s vast experience in the industry, both in engineering and business operations, allows him valuable insight into our clients’ technical and financial needs, as well as their overall strategic objectives. Imad and the ITG team work diligently to ensure the delivery of high quality engineering solutions for multidisciplinary projects related to production & distribution, facilities, energy, process improvement and reliability. Imad earned a Bachelor of Science degree in Electrical Engineering and an MBA both from the University of Illinois, Urbana-Champaign. He is a registered Professional Engineer in Illinois. He is also trained and certified in Lean and Six Sigma methodologies. Imad is a native of Springfield, Illinois and lives in Champaign, Illinois with his wife and three children. 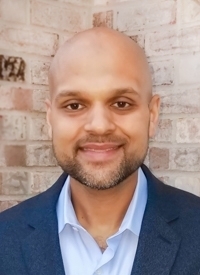 He is co-founder and president of Avicenna Community Health Center, a not-for-profit free clinic providing preventive and curative healthcare to uninsured and underinsured individuals in East Central Illinois since 2009. Tyson was named the Madison Office Director in September of 2016. Tyson has been the Director of Commissioning at Henneman Engineering for the past 8 years and has specialized in Commissioning for new construction and Retro-commissioning for existing facilities. Since joining Henneman Engineering Tyson has specialized in the construction, installation, and operation of the high performance systems Henneman Engineering has become known for. This specialization in system installation and operation has provided Tyson with the unique opportunity to functional test and verify the Henneman Engineering designs perform as intended by the design team. He has also played an integral role in the development of the Focus on Energy Retro-Commissioning Program by being the first engineering firm to introduce numerous healthcare clients to the Focus on Energy Pilot Program in 2008. His team of commissioning engineers have since saved each healthcare client over 13% of their annual energy costs. 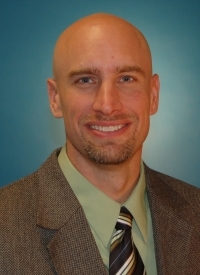 He is a registered Professional engineer, a Qualified Commissioning Provider, and is a member of WHEA (Wisconsin Healthcare Engineering Association), and ASHE (American Society of Healthcare Engineers). Tyson received his Bachelor of Science in Mechanical Engineering from the University of Wisconsin-Madison. Paul Boland has more than 30 years of engineering experience and has been with Henneman Engineering since 1992. His specialties include utilities, power plants, boiler design, process layouts and piping design. Paul currently provides leadership for Henneman’s Champaign and Lafayette offices, Paul manages mechanical and electrical engineering projects with an eye for quality, scheduling and customer satisfaction. Paul is a mechanical engineer by training and his experience includes many successful higher education building systems projects for both new construction and renovation. 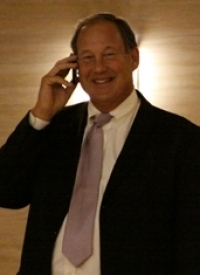 He has led air quality and mold remediation projects in both healthcare and higher education. Paul and his engineering team completed one of the firm’s more challenging and rewarding projects for the Illinois State Capital which included renovation of existing HVAC systems. For their work on this project, Henneman received the “Pride in Partnership Award” from the Illinois Capital Development Board. This award was given to the project that best exemplifies teamwork and collaboration between the owners, the Henneman Engineering design team, and the contractors. Paul is a registered Professional Engineer with a Bachelor of Science in Engineering from the University of Illinois. Paul’s professional affiliations include the American Institute of Plant Engineers (AIPE); Illinois Society of Professional Engineers (ISPE); and National Society of Professional Engineers (NSPE). Jason has led our Milwaukee Office for the past three years. Prior to heading that role, he acted as a Senior Project Manager in our Madison office for seven years. Jason brings a valuable combination of analytical engineering design and hands-on, practical knowledge of construction. Jason's leadership and team-building in our Milwaukee Office has allowed Henneman Engineering to continue to develop our work in the Milwaukee area with a strong focus on quality. His strong engineering skills and attention to detail have been key to developing Henneman Engineering’s reputation for high quality design work. Jason received his Bachelor of Science in Architectural Engineering from Milwaukee School of Engineering. He is a licensed Professional Engineer in three states and a LEED Accredited Professional. He is also a member of American Society of Heating, Refrigerating and Air-Conditioning Engineers (ASHRAE). Jason has over 15 years of professional design engineering experience. Prior to moving back home to Wisconsin, he was a mechanical engineer in California, designing buildings for numerous high-tech businesses in Silicon Valley, extraordinary multi-million dollar residences, high-rise mixed use developments, performing arts venues and pharmaceutical and research facilities. Jason has since designed very complex hospital and healthcare environments, historic renovations and government facilities. Whatever market sector Jason is involved with, he quickly becomes a specialist. His ability to work with just about anyone is very evident throughout every project and any challenge he may come across. "The problem solving and project process is endlessly variable and interesting. My goal is to earn trust and develop career-long relationships by delivering projects that satisfy the client’s specific technical and financial needs." Jason resides in the suburbs of Milwaukee, is married and has two children. He spends his free time playing tennis, golf, enjoying Wisconsin’s out-of-doors, breaking down and re-building something in the garage or taking on carpentry or renovation projects. Tracy Wilson has over twenty one years of electrical engineering design experience. Prior to ITG, Tracy worked for a public electric and gas utility specializing in distribution design and power quality analysis. Since joining ITG, she has performed numerous energy studies and cogeneration feasibility analysis. Tracy has extensive experience with ETAP and SKM electric system modeling software, performing load flow, short circuit, coordination and arc flash studies. She has worked on a variety of electrical design projects including high voltage substations, medium voltage distribution, electrical generation, protective relays, commercial and industrial distribution and renewable energy technologies. Tracy is a registered professional engineer in Illinois, Kansas and Washington. Her professional affiliations include Illinois Society of Professional Engineers and the Association of Energy Engineers. Tracy is also a LEED Accredited Professional. Herman Lehr has more than 30 years of experience in the business development, financial, and corporate administration areas. He joined Henneman in 1998 as CFO and now serves as Senior Vice President, Business Development. 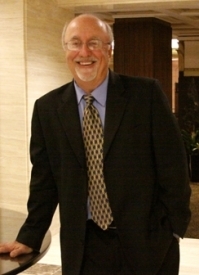 In his role, Herman focuses on developing new business, meeting client needs, and promoting client-centered service. Prior to joining Henneman, he was a senior manager in program finance at Northrop Grumman Corporation, a multi-disciplined global security firm, where he was responsible for financial program control on a wide variety of aerospace electronic technology contracts. A Chicago native, Herman earned a Bachelor of Science in Accounting from the University of Illinois at Chicago and a Master's Degree in Business Administration with an emphasis on International Finance from Loyola Marymount University in Los Angeles, California. His local community involvement includes fundraising and events for the Champaign West Rotary Club. Herman is a member of the University of Illinois Quarterback Club and also participates as a coordinator for local Heart Association and American Cancer Society programs and events. He is also a private pilot. When Mr. Henneman founded our firm in 1961, he envisioned a company that would provide engineering solutions responsive to clients’ needs in an innovative, cost effective, and professional manner. Fifty years later, the Henneman team of professionals still shares his vision. 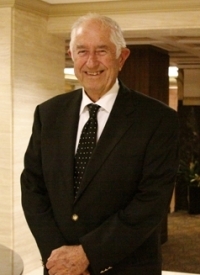 Today, Mr. Henneman serves as Chairman Emeritus of Henneman Engineering, Inc. and is a 1949 graduate of the University of Illinois’ Department of Electrical and Computer Engineering (ECE). He has 60 years of experience as an electrical engineer, mentor, and leader. Prior to establishing our firm, Mr. Henneman held engineering positions with Holabird and Root Architects and Engineers in Chicago and with the University of Illinois at Urbana Champaign. He served as an electrical engineer for the University of Illinois Physical Plant Department (1950-1957) and University Campus Architects Office (1957-1960). He was responsible for many of the University’s in-house construction renovations and various maintenance programs during that period of time. Mr. Henneman is a former president of the Electrical and Computer Engineering Alumni Board of Directors (1987-1988). In 1992 he was awarded the University of Illinois Loyalty Award by the University of Illinois Alumni Association. In 1994, he was awarded the Marcia Peterman Award in recognition of dedicated service to ECE. In 1996, he received the University of Illinois’ Distinguished Alumnus Award from the ECE Department. Mr. Henneman was an adjunct professor of general engineering at the University of Illinois (1969-1977) where he advised senior design engineering students with special emphasis on design problem solutions. In 2005, Mr. Henneman was appointed as a member of the University of Illinois Foundation. For 43 years, Michael Henneman has been an integral part of Henneman Engineering and its tremendous growth since the firm was founded by his father, Ralph J. Henneman, in 1961. Throughout his career at Henneman, Michael has held multiple positions including draftsman, electrical designer, engineer, vice-president and corporate secretary. In 1991, he became President of the engineering firm and served as President/CEO until 2014. He also served as Chairman of the Board from 1996-2016. 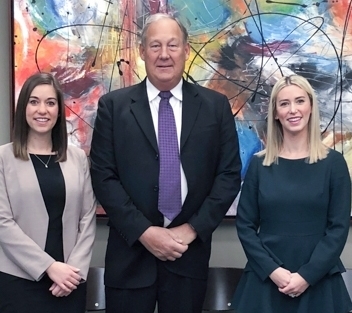 Under Mr. Henneman’s leadership, the firm has grown to eight offices in 3 states. 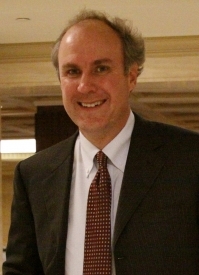 Michael is a University of Illinois graduate with a Bachelor of Science degree in Electrical Engineering and Computer Science (BSEE) in 1975, and a Master of Business Administration (MBA) degree in 1983. He is a registered professional engineer in the states of Illinois, Arizona, Texas, Missouri, Wisconsin and Indiana. He is also a member of the American Consulting Engineering Council, National Society of Professional Engineers, and an affiliate of the American Institute of Architects. In 1986, Michael designed and engineered a computer-based energy management system for the University of Illinois chilled water air conditioning system. The design was cutting edge innovation and Mr. Henneman received a Design Award of Excellence from the United States Secretary of Energy, John S. Harrington. Mr. Henneman’s community involvement has focused on the founding of a new Catholic High School in Champaign, Illinois. Also, in addition Mr. Henneman donated to the High School of Saint Thomas Moore a charitable gift, earmarked for the construction of a new football and track field. In 2007 Mr. Henneman and family donated a gift in support of the construction of the new Champaign Public Library. Michael serves as a Board member of CEO (CEO.org) currently and served in the past as Chairman of the Champaign County Chamber of Commerce, Chairman of Illini Chapter of Young Presidents Organization(YPO), Board Director of Bank Champaign, Director of the Urbana-Champaign Economic Development Corporation, past Co-Chairman of St. Mathew School Education Commission, member of University of Illinois President’s council, the fighting Illini Athletic Scholarship Fund, and Chairman of the Sigma Rho chapter (University of Illinois) Beta Theta Pi Fraternal Building Corporation. He has also served on the City of Champaign Zoning and Building Code committees. State of Illinois Professional Engineering Energy Committee, and the University of Illinois Professional Practice Group of the Department of Architecture. 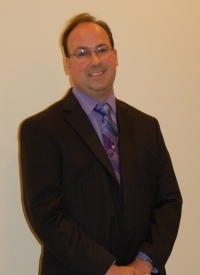 Mr. Henneman is a native of Champaign, Illinois, and currently resides in Naples, Florida. Michael enjoys family (5 children), boating, golf, art and travel. 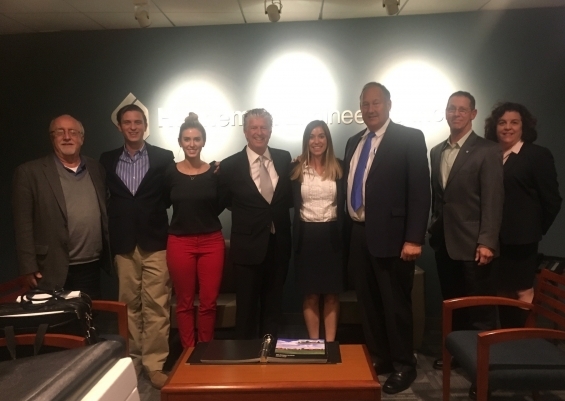 Left to Right; Michael Henneman Sr., Board Advisory Committee member; Rachel H. Beaupre, Secretary Board of Directors; Laura J Henneman JD, Chairman of the Board; Joseph B. Summers, Board of Directors; (Not Pictured) Paul Boland, Board Advisory Committee member. Sitting (Left to Right): Ralph Henneman, Michael J. Henneman, Liz Douglas, Jeff Treiber, Paul Boland.